This process will allow you to cook almost any grain perfectly every time. (The most notable exceptions are bulgur, white or whole wheat couscous, and wild rice.) You really don’t even have to measure anything. I’m providing a recipe for the method, but you don’t need it: Put the grains in a pot with water and cook them until they’re done the way you like them. Period. 1. Combine the grain with a large pinch of salt and water to cover by about an inch in a small to medium saucepan. (Use 6 cups water for pearled barley, which predictably absorbs a more precise amount of water.) Bring to a boil, then adjust the heat so the mixture bubbles gently. 2. Cook, stirring occasionally, until the grain is tender. This will take as little as 7 or 8 minutes with pearl couscous and as long as 1 hour or more for some brown rice, unpearled or hulled barley, wheat berries, and other unhulled grains. Hominy can take 2 hours or longer. Add boiling water as necessary to keep the grains covered, but—especially as the grain swells and begins to get tender— keep just enough water in the pot to keep the grain from drying out. 3. 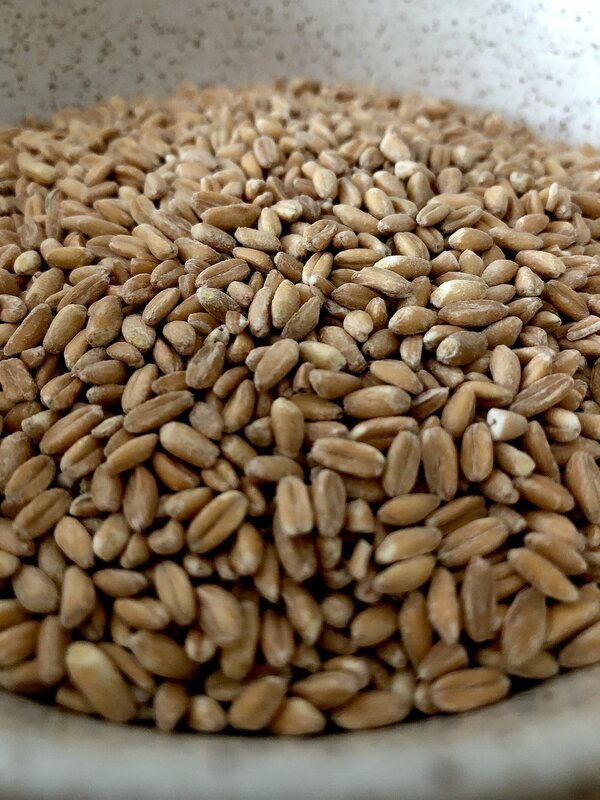 The grain is done when it tastes done; whole grains will always have some bite to them, but milled or cut grains will become mushy if overcooked, so be careful. Ideally, you’ll have cooked out all of the water at about the same time the grain is tender, but if any water remains, strain the grain. 4. Toss the grain with olive or other oil or butter to taste if you’re serving right away or see “7 Ways to Enhance Cooked Grains” (below). If you’re storing it, toss it with a couple of tablespoons of olive or other oil to keep the grains from sticking together too much, then cover and refrigerate or freeze. 2. A couple spoonfuls of a simple sauce, like any flavored olive oil, compound butter, vinaigrette, pesto, or chile paste.